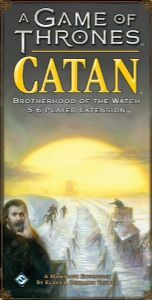 New heroes rise to face the danger beyond the Wall in A Game of Thrones: Catan – Brotherhood of the Watch – 5-6 Player Extension! The forests of the North conceal many secrets, and the Wildlings have only begun their attack on the Night's Watch. With new allies and enemies, will you be able to defend the Wall and win the title of Lord Commander?